You are here: Home / Data Recovery / The dos and don’ts of data loss – Must Read for Our New Jersey customers! Here at Dave’s Computers, we perform data recovery for all kinds of customers in all sorts of situations. One conversation I had last week with someone whose laptop hard drive had stopped working was about the dos and don’ts of data loss. When a drive fails, what should a user do and what should they never do? I thought the subject would make a good blog post, so here we are. Data is rarely actually lost, more rendered inaccessible. Depending on what has happened, we can access this data in some circumstances while in others we really cannot. Unfortunately, until we get our hands on the drive in question it is almost impossible to tell. So if something happens to a drive in your computer, what should you do? What should you definitely not do? Here are a few suggestions. The data recovery guys here at Dave’s Computers are very good at what they do. There are few situations where data is truly gone forever so there is usually at least some light at the end of the tunnel. We can recover data from stuck hard drives, deleted partitions, deleted files and all manner or situations. So the first thing we would ask you to do is not panic as we may be able to salvage the situation. Successful data recovery is dependent on the files in question being available to be recovered. If they have been permanently deleted or overwritten, we cannot recover them. That means if you accidentally delete a file and cannot get it back yourself, you should do nothing else on your computer whatsoever until you bring it to us. If you open another program or save anything to your hard drive, you could overwrite files which would mean we will not be able to recover them. You have to balance saving other work with the risk of permanently losing whatever file(s) you have deleted and make a call. It is not one we can make for you. You don’t need to be a business to require backups. You don’t need to be a business to afford them either. There are dozens of cheap or even free backup solutions that can utilize Microsoft OneDrive, Google Drive, iCloud or whatever cloud solution you care to mention. Considering how much the average family uses their computer, backing up critical files is a no brainer. If you need help configuring a backup solution, call us here at Dave’s Computers. We would be happy to help. Depending on how practical it is, you can bring your computer or just the drive to our computer store in Hillsborough. We can then assess the situation and see what data recovery options we have. We have been recovering data for many years, long before cloud storage and solid state drives. We have the skills, experience and equipment and are happy to bring them to bear for your benefit. Now for the things we would like you not to do to help us in our data recovery process. As mentioned above, if you continue to use your computer after deleting a file you didn’t mean to, you need to stop using it right away. When a file is deleted in Windows or Mac, only the index entry for the file is removed. This is the part that tells the operating system what the file is. Without this information, the OS regards it as deleted. In this state, data recovery is simply a matter of recovering the actual data and giving it a new index entry. The file itself is still there until it is overwritten by another file. If you open another application, save something or continue using your computer, you could overwrite the data. If that happens, chance are that we will not be able to recover it. 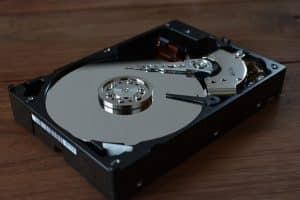 If you have used data recovery software before and are comfortable doing it, you may be able to recover your files without our help. If you haven’t used it before, it is a risk. If you want to try it yourself, my suggestion would be to buy good quality data recovery software before you need it and practice a little as soon as you install it. That way, you will know how to use the program and what to expect when you do use it. Any mistakes you make during practice will not affect anything serious. Trying to familiarize yourself with new software when you need it most could just make things worse. If you have a hard drive that has frozen, it may be tempting to hit it with something to free it up. That would be a mistake. 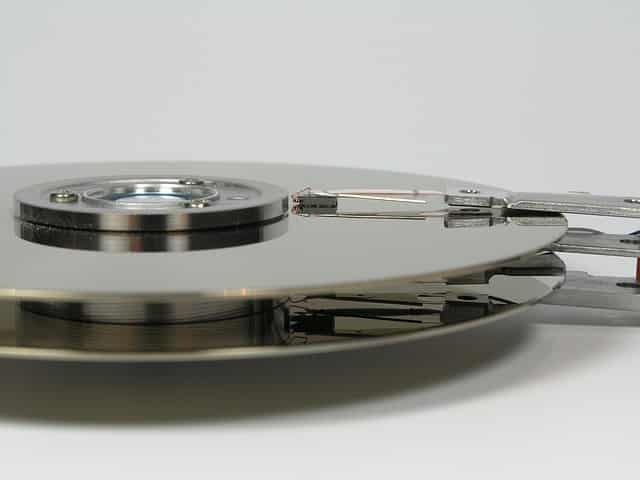 The platters that store the data within a hard drive are very delicate. As is the read/write head that does the actual saving of your data. Hitting something (impact mechanics) is something we would never suggest you do if you value the item you are hitting. The same for freezing. The popular myth that you can freeze a hard drive in order to unstick it is just that, a myth. It is far better just to bring the drive to Dave’s Computers and we take care of it for you. A year or so ago, we have a customer come into the store who had taken his hard drive to pieces in order to get it working again. He requested we put to back together so he could continue using it as he did before. Unfortunately, during that deconstruction, the customer had damaged the read/write heads on several of the platters rendering the drive useless. If you no longer need the hard drive or the data it contains, by all means experiment and see how it works. Just don’t expect for it to work again afterwards! 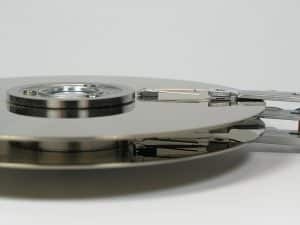 If your hard drive freezes or stops responding or you otherwise lose data don’t hesitate to bring the whole computer or just the hard drive to Dave’s Computers in Hillsborough. We can recover data in many situations and will do our utmost to save your files. Contact us today if you need data recovery. We are here to help!